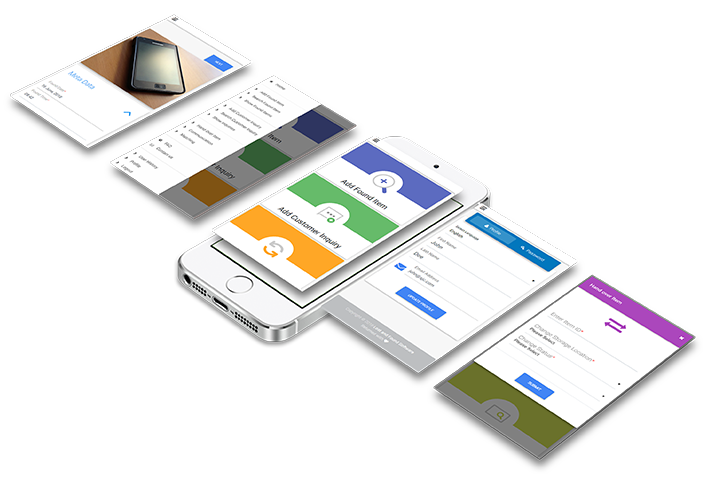 The only app and software with image recognition and smart matching technology. Just take a picture and you're done! Make sure customers are happy with your service and you respond immediately to their inquiries. – or even turn your Lost and Found into a profit center. 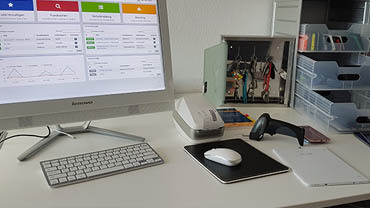 Adding image recognition to HaveItBack's Lost and Found Software enables customer service to automate the registration of found items with extremely high quality – in real time. 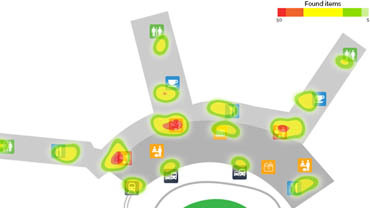 Our unique image recognition system automatically identifies the type of found item, color and location where the item was found. Even details such as brand, serial numbers or info on IDs can be recognized. We offer you the best Lost and Found experience worldwide! 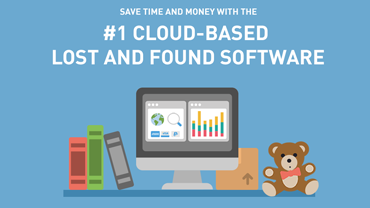 The Lost and Found Software is designed to reduce your workload while improving service and increasing customer satisfaction. HaveItBack paves the way for the most efficient handling and return of found items. 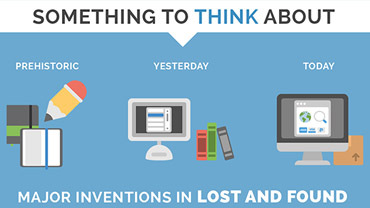 The innovative Lost and Found Software simplifies managing lost and found items and associated customer inquiries. 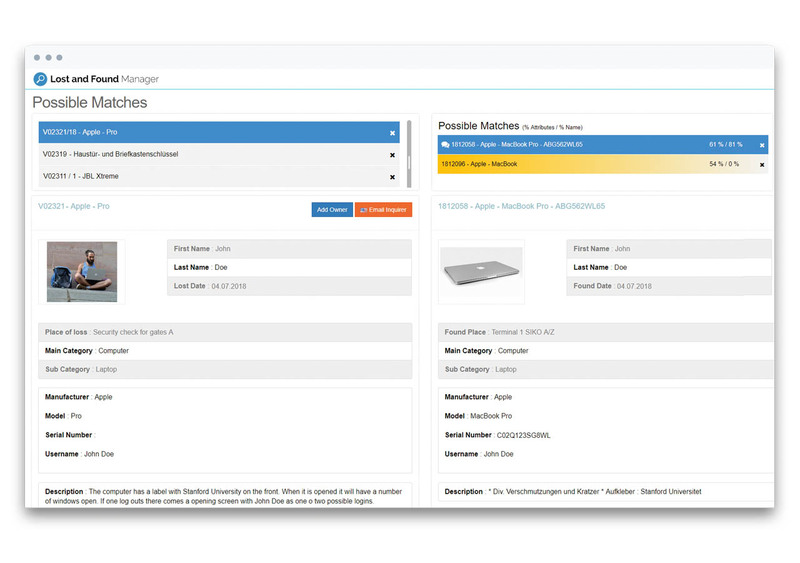 Our system improves accessibility to information – available online 24/7 – and automatically matches found items with owners based on descriptive information. 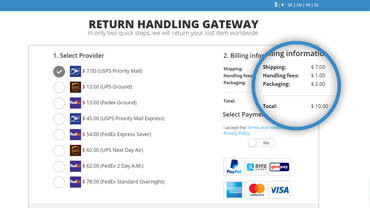 The Return Handling Gateway is the payment and shipping center for lost and found items. 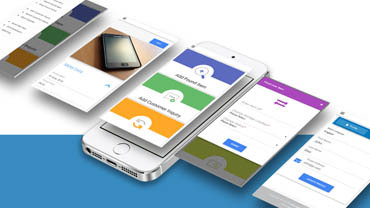 It offers a simple and standardized interface to all relevant payment and logistics services. Thanks to our state-of-the-art processes, your new lost and found system will send items back to your customers with ease. We help you turn your Lost and Found into a successful part of your business and customer retention strategy. 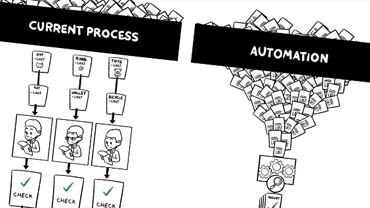 – increase your service capabilities while improving customer success at the same time! Found items can be added using the classic form or image recognition. Just fill out all fields required for a successful registration – or just take a picture! 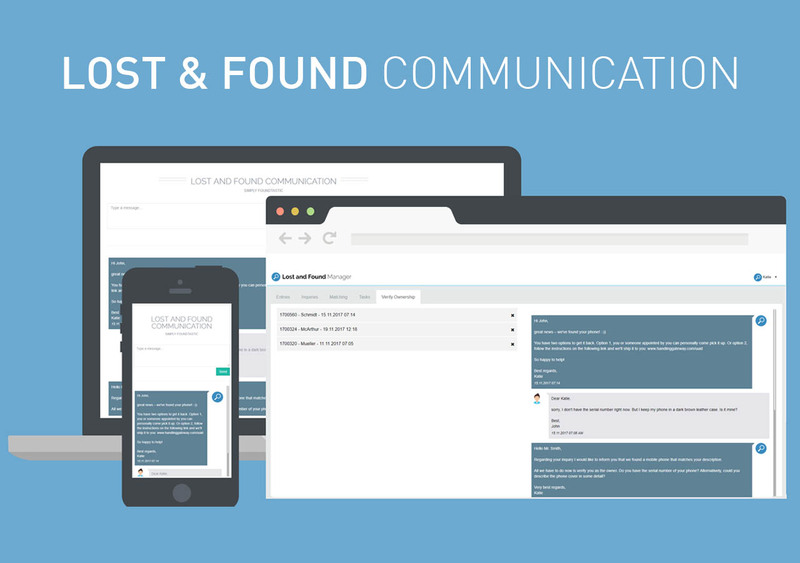 Use an iFrame to quickly implement lost and found forms on your website. Lost item inquiries submitted by your customers are direclty registered in the Lost and Found Software. Found items and owners are automatically matched by the software. Manual checking is no longer required. 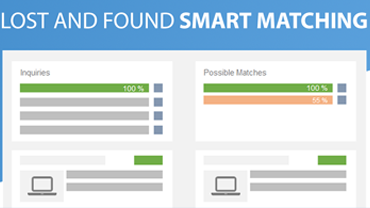 Each match is given a matching probability based on multiple factors. 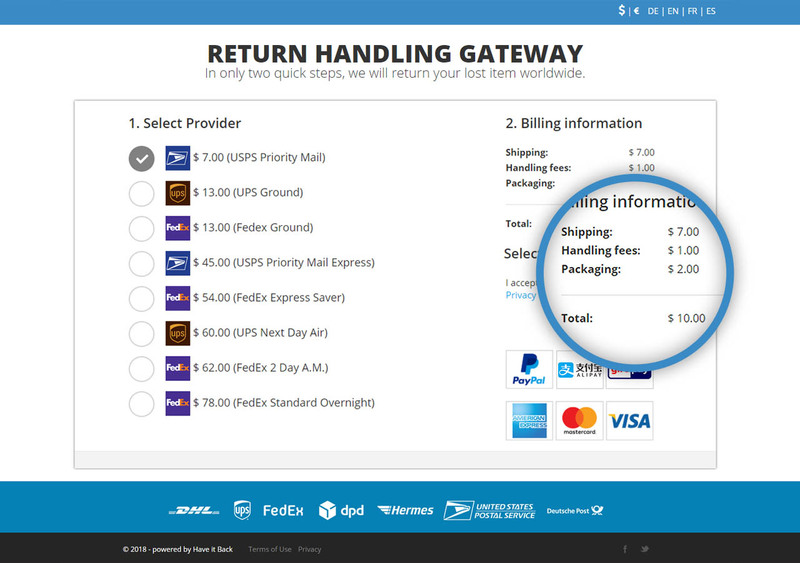 The Handling Gateway enables an easy shipping and payment process for returning found items. The documented billing of fees and the generation of labels is fully integrated into the Lost and Found Software. The document management system generates invididual documents for finders or owners. For example, you can generate a confirmation for a found item in your organization‘s design. The customer communication module is an integrated chat system to quickly authenticate matched items with owners. This means easy communication without having to make use of emails, phone calls or even letters. You can determine specific rules and procedures for certain found items and assign them to task lists. One example could be handing over all passports to the police. The auction and charity module enables your organization to set up auction packages and export them as Excel sheets. After the auction or charity, all values can be just as easily imported again. Over 260 categories are already available in the standard version of the Lost and Found Software. Main categories, sub-categories, and value fields can be renamed, deleted, or created. 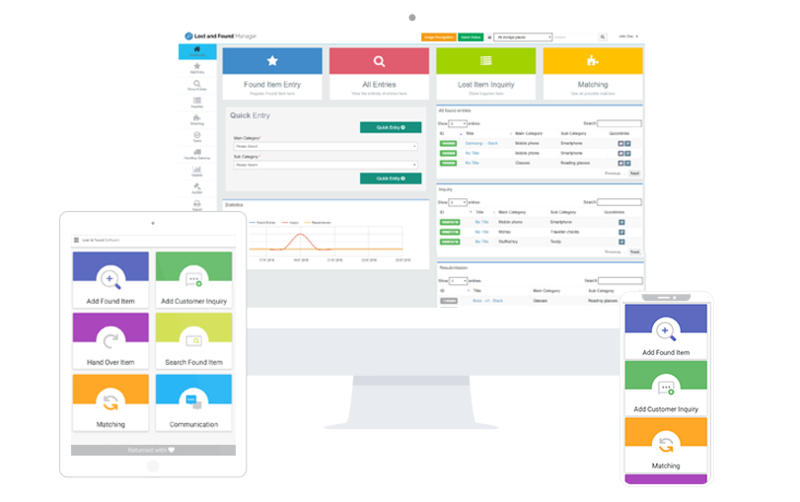 You can add new users or change the roles of existing users as well as their authorizations from the user management. The extensive history for each entry allows for complete tracking of all changes made. Lost and Found is often done "on the side" by other providers. Not with us! We've made it our core business to change the world of Lost and Found – and now you can be part of that future! 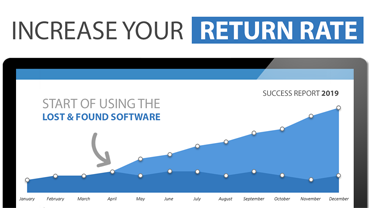 How to increase your Lost & Found return rate! 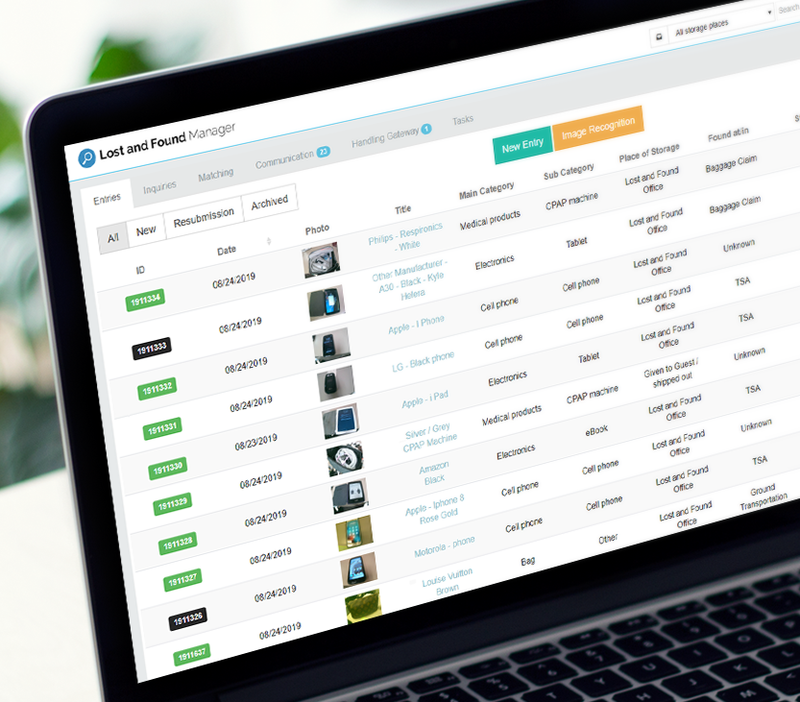 The Lost & Found Software is designed to significantly decrease the workload of your company – and at the same time increase your service, customer satisfaction and return rate considerably. Your customers are used to modern standards. Let’s provide them what they deserve! A professional and innovative lost and found software. 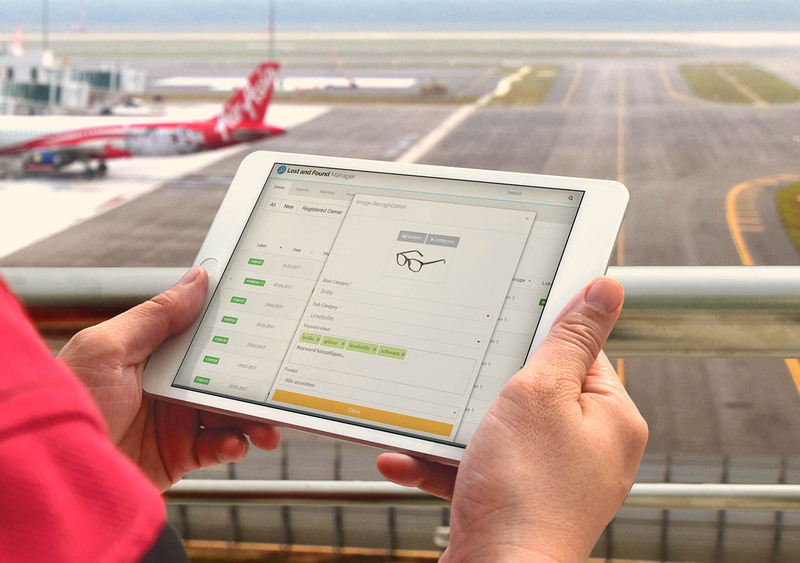 The Lost and Found Software was developed in cooperation with and with constant input from industry leaders from public transportation and aviation. To save your company a lot of time and hassle, you need a strong partner at your side. Have it Back is the international lost & found expert! We offer unique solutions for all your lost & found requirements and challenges. 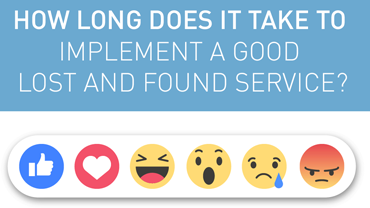 How long does it take to implement a good Lost and Found Service? Every found item costs a company or organization $60 on average (work time, inquiries, storage, shipping, etc.). Modernizing the current lost and found process is therefore very desirable from both an economic and customer service perspective. Return found items in style with Have it Back’s Handling Gateway, the system that takes care of shipment, payment, and return in just two clicks. 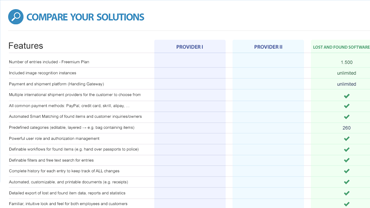 Ensure a smooth customer journey and the least amount of hassle for your staff. 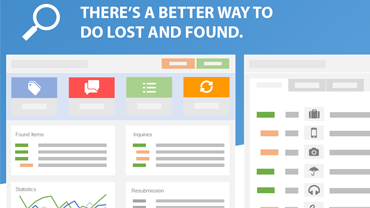 HaveItBack offers a Lost and Found software that automates, streamlines, and outsources the L&F process for organizations. Using smart technology like matching algorithms, image recognition, chatbots, etc. 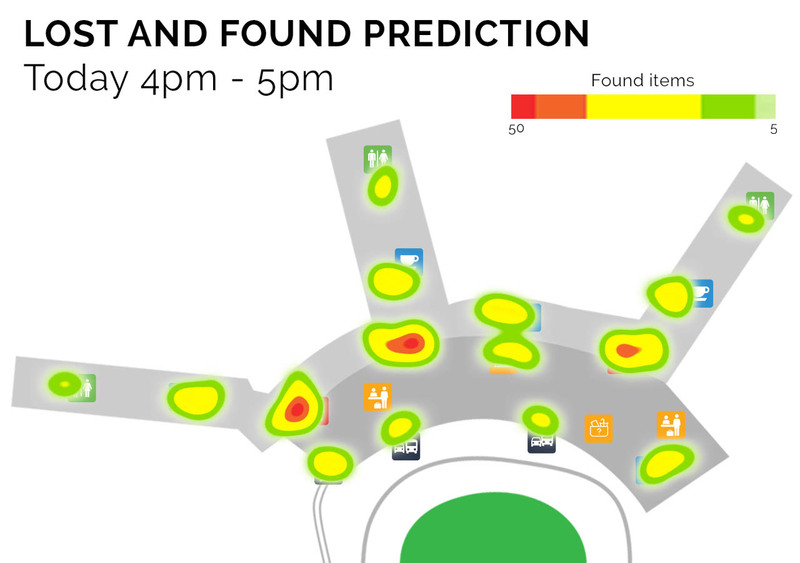 Our Lost and Found Software is able to use historic data of an organization in order to predict the probability of upcoming lost and found events, including the type of items and the places where they’ll be lost. 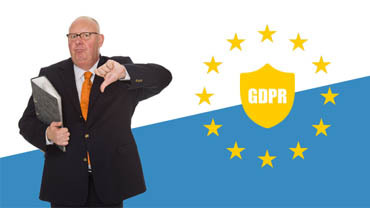 Generally speaking, EVERYONE who collects and processes user data is affected by the General Data Protection Regulation (GDPR). And by the way, the GDPR even extends to non-EU companies the moment they process data of EU citizens. 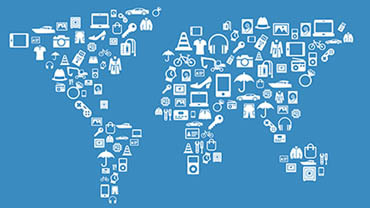 Today, 400 million items are found annually in the US. At least 60 % of found items, the bulk of which, ultimately end up with companies and authorities. Companies have an average of 15 times more inquiries than actual found items. Our Lost and Found solutions were developed in cooperation with constant input from industry leaders from public transportation and aviation. Our solutions were built to automate the process for organizations operating on a major national or global scale with millions of passengers. If you lose or find something and don’t really know wheres you have to contact dozens of different locations and spend a lot of time on the phone. On the other hand, if you are one of the companies contacted or people lose things on your premises, lost and found issues cost a lot of time. 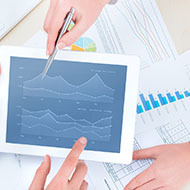 Improve Customer Satisfaction & Lower Costs! Losing something is frustrating, but the search for what was lost is also a hassle. Not only for the customer, also for all the companies they contact when searching for their missing valuable. 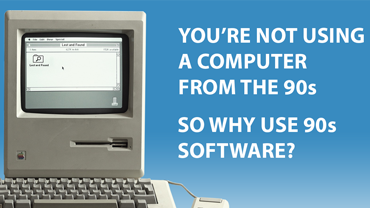 Your company is using an already outdated Lost and Found software provider. But why settle for anything but the best? We've all lost something and didn't know exactly where. At the hotel? The taxi? The train, maybe? Until now, you had to contact every location again and again. 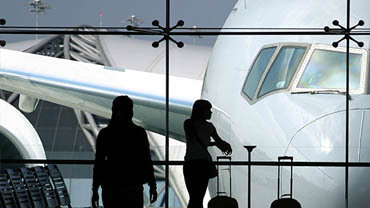 Likewise hotels, airports, and all the other organizations also have to manage Lost and Found. It's never core business. Have it Back solves the problem for all! to have an edge over their competition – don't get left behind, become an innovation leader yourself! LET'S GET STARTED. IT'S FREE! © Lost and Found Software by Have It Back.